This series is to run in parallel to the policy cycle, Tackling Populism: Hope over Fear, organised by the 1989 Generation Initiative. The 1989 Generation Initiative is an ‘open policy network’, based at the LSE’s European Institute which seeks to reinvigorate the European Project through the visions and aspirations of its younger citizens – the 89ers. The policy cycle will be an eight month pan-European conversation lasting from February to September 2017 with the aim of understanding the causes, and ultimately addressing the rise of nationalist populism in Europe. Policy proposals will be formulated through a process of roundtable and webinar discussions bringing together hundreds of participants from across Europe. The series will provide a platform for participants to express through high-quality, evidence-based blog articles, their proposals for tackling populism. 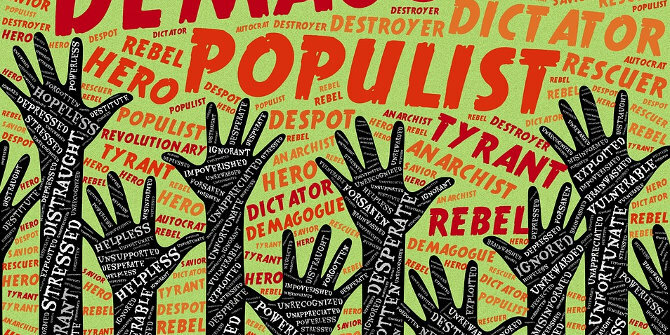 The series will feature ten articles, each on a specific topic related to populism.